Lyle P. Masters, 69, of Leroy, died June 7, 2011. 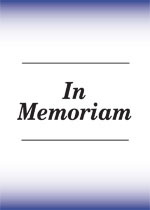 Calling hours will be Saturday, June 11, 11 a.m. – 2 p.m., the funeral service will follow, at the funeral home with the Reverend William Masters officiating. Burial will be in the Old DeKalb Cemetery, Old DeKalb. Allen-Denesha Funeral Home, DeKalb Junction, is in care of arrangements. Lyle is survived by his wife, Nancy; sons Lyle P. Masters II, Old DeKalb, Brian J. Masters, Webster, and Perry T. Masters, Canton; daughters Linda (Edward) Newcombe, Rensselaer Falls, Diane (Thomas) Pike, Heuvelton, Terry (Ed) Emrich, TX, Sherry (Dean) Johnson, TX, and Cherrie Masters, TX; brother Ken Masters Jr; 12 grandchildren and two great grandchildren; and several nieces and nephews. He was predeceased by a brother, Ronald Masters. He was born in the Town of DeKalb, the child of Kenneth and Mabel Perry Masters on July 27, 1941. He married Nancy Poore, April 6, 1976 at their home in Depeyster. Lyle was a farmer and worked for the Town of Depeyster Highway Department. He was a member of the Old DeKalb Methodist Church and Leroy Methodist Church. He loved to hunt, fish, dance and music. Contributions can be made to Hospice and Palliative Care of St. Lawrence Valley and the American Cancer Society.